For my annual ski trip in 2018, I needed to pick up a new pair of liner gloves. After doing a bit of research, I decided to go with the Dakine Storm Liners. Many others seemed to like them and I knew Dakine was a reputable company whose products I wanted to test out. Overall, I think the Dakine Storm Liners are extremely solid. As far as warmth goes, they are top notch and the grips come in handy in a variety of situations. They feel nice and do a great job of wicking away moisture. The only complaint I have is that the fabric began pilling slightly. But this could have been my fault. For one, I was stuffing them into gloves that were far too small for my hands. I also took a pretty nasty fall (without wearing my outer gloves) and they ended up dragging across the snow. For the price I got them for, I would highly recommend them to others. Be sure to read the entire review for the complete details or you can check the current pricing on Amazon. The Dakine Storm Liners fit all these criteria and were a fairly decent price when I was shopping. I also wanted something for warmer and cooler temperatures. 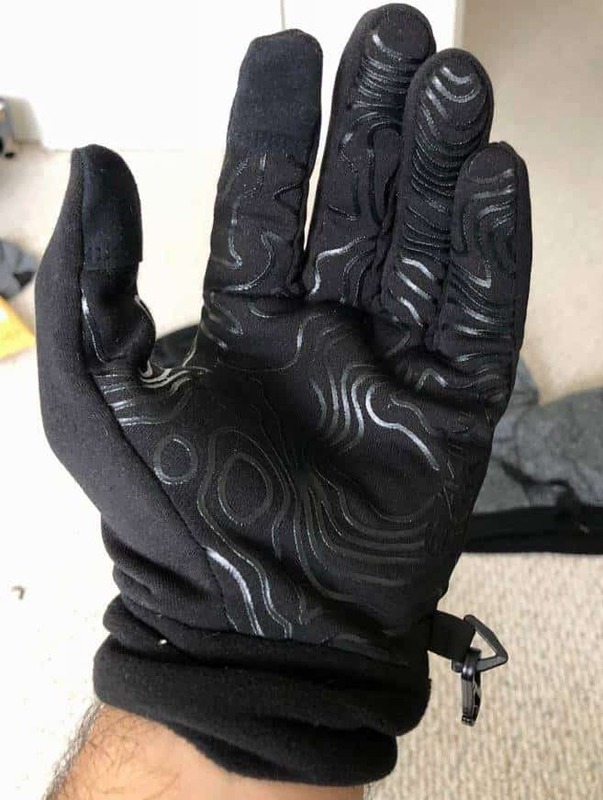 I knew I was going to use them skiing under my regular gloves, but I also want to use them on their own in other scenarios: biking, driving, shoveling snow, etc. I wanted something that went just a bit beyond the normal liner glove which is only useful under other ones. When I first got the gloves, I wasn't sure what to expect in terms of thickness. Again, all the liner gloves I've owned in the past have been cheap and extremely thin. I was quite surprised with how thick they were when I took them out of the package. In fact, I felt that they were a bit too thick for what I was planning on using them for. Because I wanted to use them under my fully waterproof gloves for extra warmth, I wouldn't have minded if they were a bit less bulky. That being said, I managed to use them how intended, but the final fit was a bit right. The feel of the gloves is that of pure fleece. Looking at the label, the gloves are made of 98% polyester, 1% polyamide, and 1% polyurethane. Most fleece sweaters are made from polyester, so that's really the closest thing that I can compare it to. I find these gloves to be slightly less comfortable than the thin cotton ones that you might find at the dollar store. Fleece isn't my go-to material in terms of comfort, but everyone's different. However, they are still fine to wear. It's important to note that I didn't buy these gloves for 100% comfort. I bought them to keep my hands warm and dry while still being able to grip things like a ski pole or steering wheel. Can They Be Worn Under Other Gloves? These gloves can absolutely be worn under larger waterproof gloves, but I think it's best if the outer gloves are a bit bigger. As I mentioned, I think these are a bit bulky, so having a larger pair of gloves on the outside is helpful. But to answer the question - yes. That's what they were designed for. What Temperatures Are These Good For? As I'm writing this, I just got done walking my dog in 35F weather. 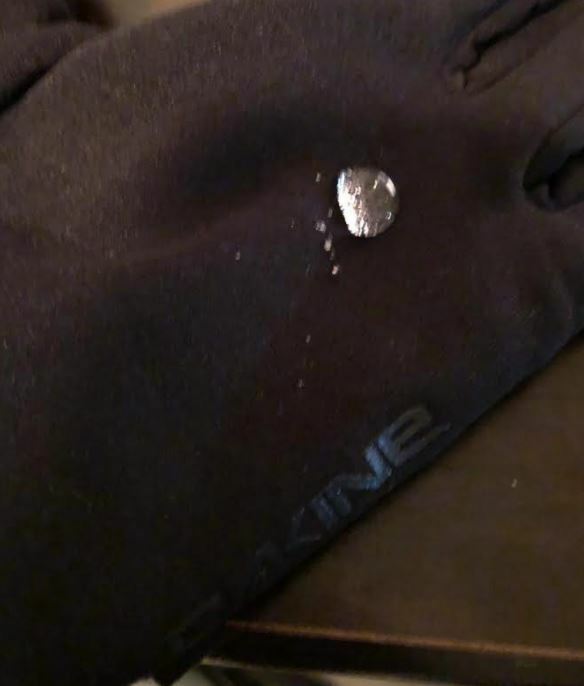 I also just happen to be wearing my Dakine Storm Liners. I would say that my hands were kept relatively warm, but I think they would start to lose their effectiveness as the temperature drops below freezing. At 35F, I was able to feel a slight chill in my hands, but nowhere near if I wasn't wearing any gloves at all. I had full mobility of my fingers and it was completely tolerable. It made the experience of the walk far more pleasurable than it would have been in such weather without any gloves on, or with thinner gloves. Are They Good as Standalone Gloves? I think the best part about these gloves are not necessarily their function as liners. They're great for doing other winter activities, such as wearing them outside to brush off your car (with a car-brush of course, not your hands). I personally like them when I'm driving. The grips are great for holding the wheel and they come in real handy before the heat kicks on in the car. These gloves aren't completely waterproof, but they are fairly water resistant. As an experiment, I put a drop of water on the gloves (pictured below). As you can see, the water droplet remains in tact when everything is still. However, I can still smear the water into the gloves if I wanted to and the fabric would absorb most of it. I will say that it doesn't say this way for long, as they evaporate water really quickly. I also don't really feel water on the inside of the gloves even when the outside might be a little wet. So in summary, I wouldn't dip these in a puddle and expect them to stay dry. But given some light snow or water exposure they'll do just fine. How is the Touchscreen Capability? When I was researching gloves with that were "touchscreen compatible", I wasn't really sure to expect. Even though I type pretty quickly on a touchscreen with autocomplete, I wasn't quite sure how it would work with gloves. My fingers are quite bulky as it is, so I rely on the phone being smart enough to correct my mistakes. Overall, I would say that typing with the gloves is definitely more difficult than with your bare hands. But it's not impossible, and once you get used to it it's not awful. Just don't go in with the mindset that you'll be able to type as quickly as you normally would. Take it about 50% slower and you should be fine. Only the pointer finger and thumb on the gloves have areas where you can touch the screen. The other fingers have the grip-lining on them so a smartphone won't even pick up that you're touching it. You can't even swipe left or right if you're trying to use one of your other fingers. It's important to note that I have one of the new iPhone 7+ which has one of largest screens available (5.5 inches). I think it would be really difficult to use these on a smaller phone. Unless of course, you have smaller and less bulky hands than I do. The silicone grips perform exactly as I would have wanted them. They aren't concentrated in one area on the glove, but rather spread out in a pattern that reminds me of a flowing river. They're especially use when I'm walking the dog in the cold. The extra grip makes things feel extra secure in case she decides to dart after a car or something. 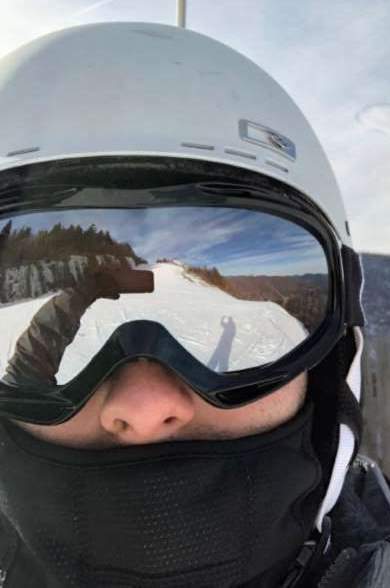 Additionally, I did a few ski runs with just the liner gloves and nothing over them. The extra grip on the already grippy poles is nice. If you're someone who likes to do those outside work-outs in the park with pull-ups and muscle ups, I think the grips would be perfect for those brisk days. I purchased these gloves from Amazon and thought they were a pretty good deal at the time when I bought them. Now that you know all the pros and the cons - go check em out for yourself! Here's a link to check current pricing on Amazon.